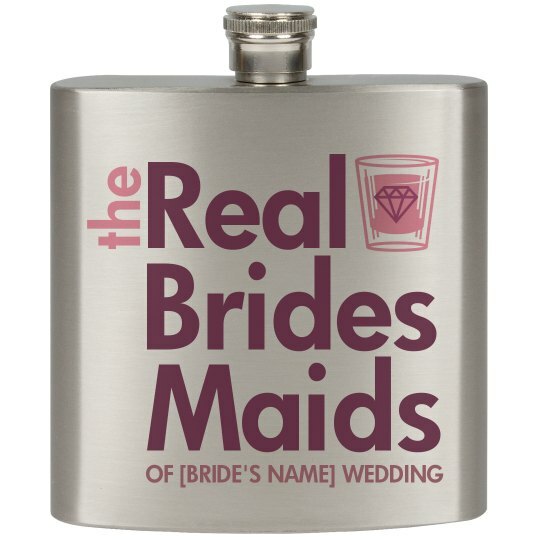 Custom flasks make great bridal party gifts for all the bridesmaids at the bride's bachelorette party! Customize anything and everything about these boozy designs. You can even add each bridesmaid's name to the custom drinkware. Cheers!